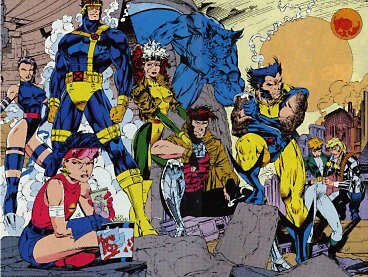 A bunch of mutants each develop different powers, and they end up in conflict with normal society... some choosing to do good, others choosing otherwise. Pretty good stuff, all in all. The implausible comic book elements are kept pretty believable — surprisingly so, considering how silly some of the caracters’ powers are in the X-Men comics, where every month or so the writers have to invent a whole new super power for some walk-on character to have... not to mention how generally incoherent the stories have often been in Marvel books. There are good performances and the story is involving... and better yet, it’s rather intelligent. Although the source concepts are implausible and rather juvenile, their treatment handles things in as solidly mature and well-thought-out a way as possible. It’s a sharp break from the usual attitude that action movies are supposed to be thoughtless, or even senseless. A bit too much explanatory dialogue was cut out for theater release, but it still hangs together. They didn’t invest as much as they probably should have (and would in the sequels) in good action sequences, but they did invest in something more important: good actors. When the least impressive performance is turned in by someone who won an oscar soon after, you’ve got a high grade cast. In particular, Patrick Stewart — who fans lobbied for years to have cast in this role — and Ian McKellen, as the two leaders of rival mutant factions, bring considerable gravitas to the conflict that follows, and a strong sense of how much they have in common despite their bitter opposition. 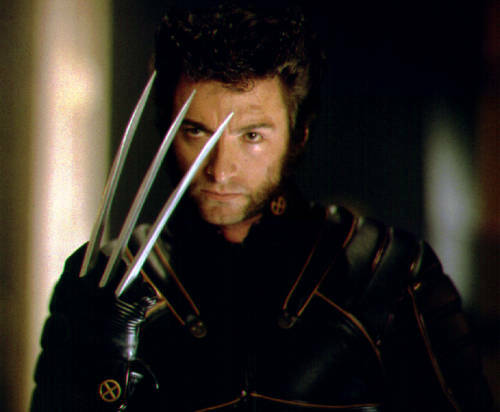 And Hugh Jackman is just cool as all get-out as Wolverine. In a field saturated with wannabe hypermacho acting efforts, Jackman’s performance stands out as Thee Coolest super-powered badass role found in any of these films. They should make him the next James Bond. He’d be the first replacement Bond with a hope of matching Connery in the sexual charisma department. (And this turns out to be a somewhat impressive bit of acting skill, once you realize how absolutely not badass hugh Jackman is in real life.) I only wish he had put on a proper Canadian accent instead of a U.S. one for the Wolverine role. For an Aussie it’s the same amount of work either way. Of course, the Wolverine in the comics is only five foot three, but we have to let that go. I think that in hindsight, this film will be seen as a watershed that led to a raising of intelligence and artistic quality throughout the Summer Blockbuster genre. Now there are several specimens out there of action blockbusters that aren’t annoyingly stupid, as has been the norm ever since the first attempts to replicate the success of Jaws and Star Wars. And audiences and critics seem to be responding, and Hollywood in turn is investing more in quality for newer blockbusters. If the trend holds, the old school “who cares if it’s dumb as long as it’s loud” blockbuster may soon come to be seen as passé... We can hope, anyway. And if it comes to pass, the Spider-Man movies will probably get the credit in Hollywood for proving you could make big money that way, but it will be the X-Men who really deserve the credit for showing it was possible. UPDATE: Hey, I might get my wish! As of March '04, Jackman is now reportedly at the top of the short list as the next 007. UPDATE TO THE UPDATE: Oh well, it turned out that the story of Jackman being a top contender was just hype from Jackman himself. But fer chrissake, Jude Law?!? They aren’t serious, right?